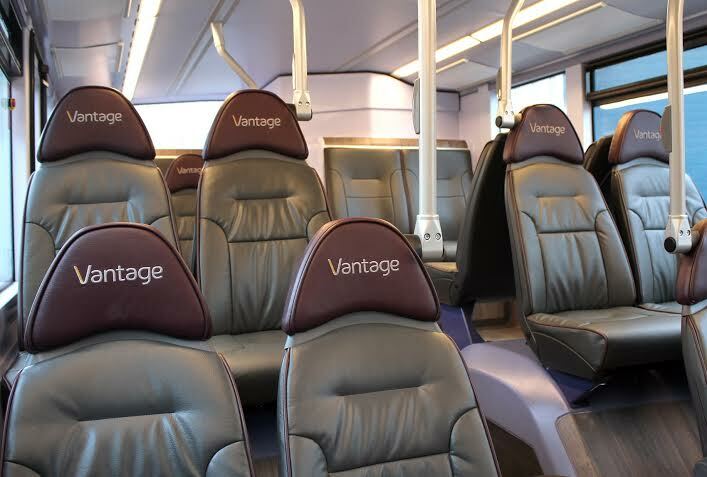 First Greater Manchester has unveiled the new service brand 'Vantage' to be introduced on the Leigh-Salford-Manchester premium Busway later this year. 'Vantage' reflects the premium quality of the unique Busway service. 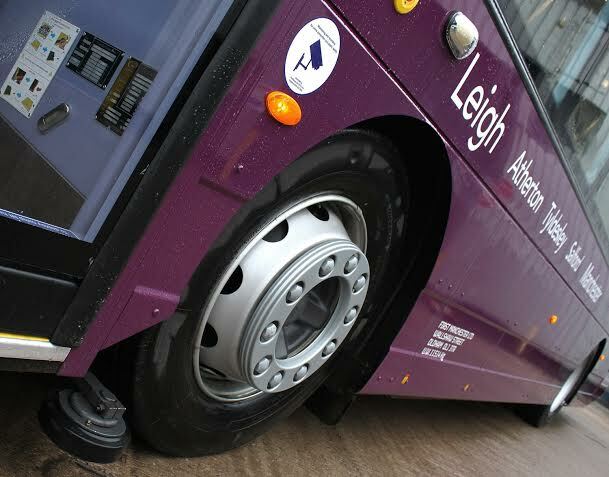 The superior travel experience was revealed on the first of twenty, new, high quality low-emission hybrid buses. 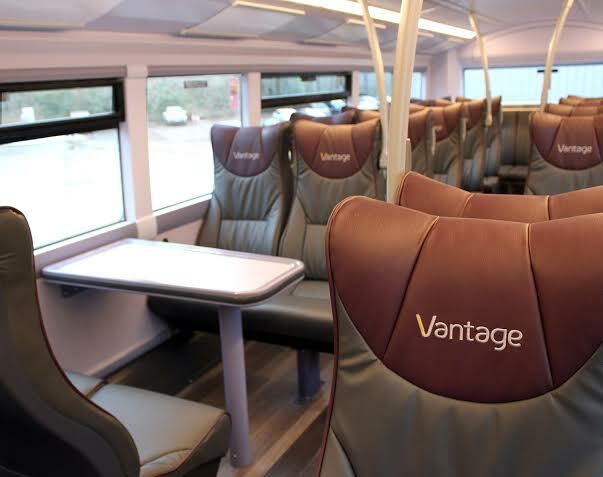 As well as e-leather seating, customers will be able to benefit from free Wi-Fi, on-board “next stop” audio and visual announcements and USB charging points. Upstairs customers can relax in style with deluxe coach-back seating and table areas. 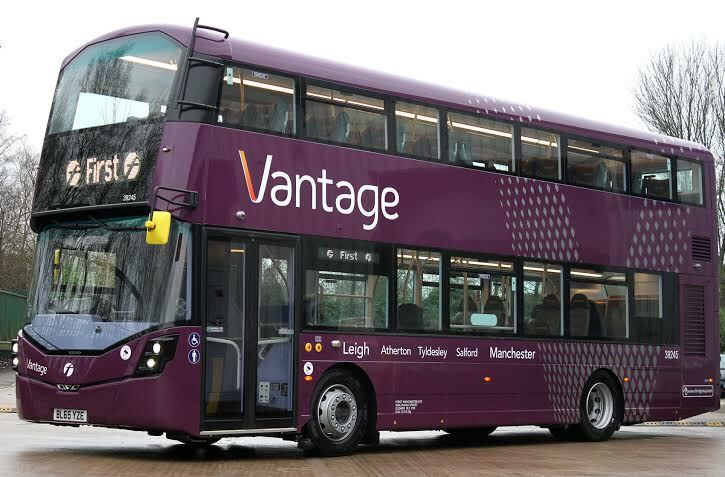 In preparing for the launch of the new Busway scheme, First Greater Manchester is also recruiting outstanding individuals to join the team and serve customers on the new premium 'Vantage' service. 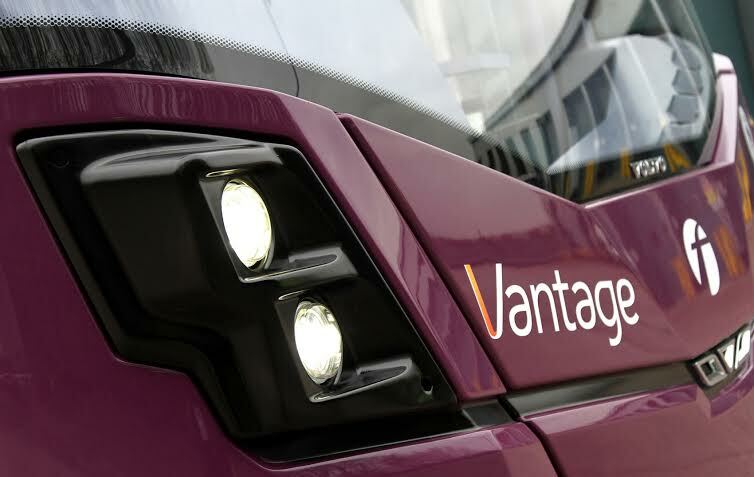 The training package will include a full week's instruction on driving in the guideway, vehicle familiarisation and additional coaching in customer service. "Our team are looking forward to providing fast and reliable connections to the communities along the whole route. The Busway scheme means more jobs for local people and we're now actively recruiting customer focussed individuals for this exciting opportunity. "Together with our transport partners we're looking forward to serving customers on the Busway who I'm sure will be delighted with the whole experience, including the stunning new buses." "In addition to the benefits that will be seen by passengers, we are already seeing the immediate economic benefits for everyone with new jobs being created." When fully completed, regular services will run from both Leigh and Atherton which will combine to offer a higher frequency in each direction between Tyldesley and Manchester during the day, six days a week – with a less frequent service on Sundays.